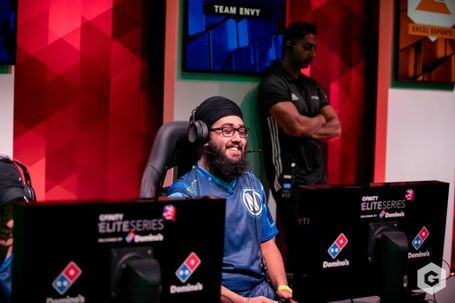 It was the final week of the group stage at the Gfinity Elite Series Delivered by Domino’s and it was time for the final Street Fighter V Teams to join the finals emerge. With FNATIC, Nordavind and ExceL already qualified, there were only 3 spots left, but 7 teams still had a chance to qualify. Who made it through? Let's check out the final results and find out! Our second matchup was between previous champions Nordavind and ASUS ROG Army. Veggey was filling in for Momi again and he would join Phenom and Saltykid, forming arguably the most dominant squad this season. Army was 2-0 down when they decided to fight back! Jonesarcade and Shivryuken both beat out Veggey’s Birdie and evened out the score. The champions came back with a vengeance and took the series 4 games to 3 and remain unbeaten in the competition. Due to this result, Epsilon was mathematically eliminated from the competition! It was Hashtag’s last chance to earn a spot in the playoffs, and luck was on their side; Fnatic’s star player Akainu wasn’t playing! Hashtag still had a mountain to climb though, as they’d be facing Killzyou, new kid on the block Suleymon and the baby-faced assassin Shakz. It was a bitter-sweet ending for Hashtag though, as Fnatic won the series 4-3, but they were able to earn a point despite losing. 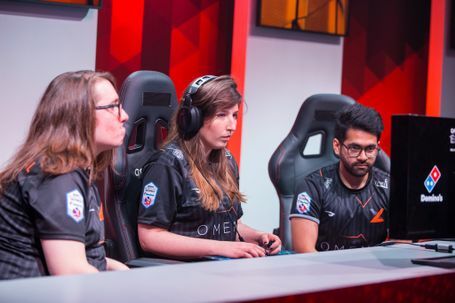 This means that both teams will be going through to the playoffs, and it was ASUS ROG army that got mathematically eliminated from the tournament. The most emotional match up of the night saw Team Vitality's TKR standing between his former team-mates and the playoffs. Team Envy was never really able to stand a chance against a very strong Vitality, and ended up loosing 4-1. The boys in blue are the first of the 3 former champions to be eliminated this season. The result was good for Method, who are also joining Team Vitality in the playoffs! With all SFV teams set in stone, we now turn our attentions to the Gfinity Elite Series Grand Finals next Saturday, 5 PM GMT! As always you can watch the action LIVE on Facebook or come down to the Gfinity Arena in London by getting FREE tickets on Eventbrite.